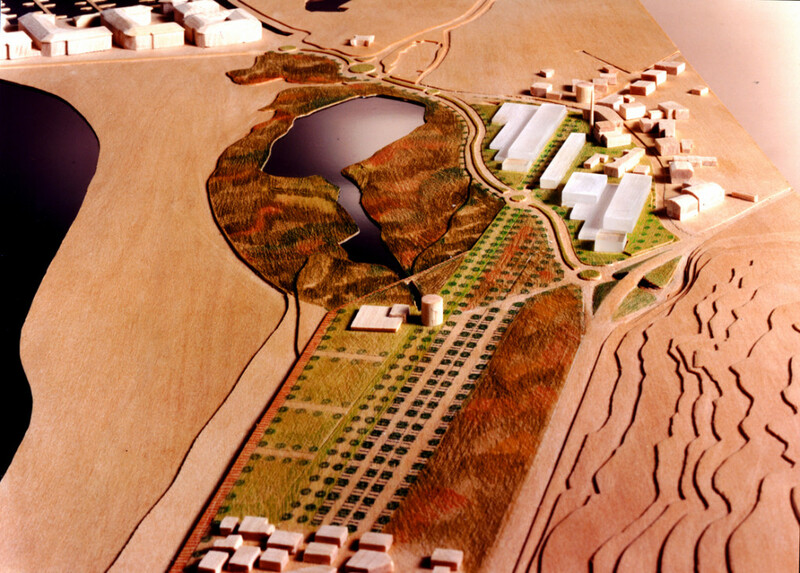 Project for the urban development plan of the area between Torres Vigia (watchtowers) and La Laguna (the lagoon) including public spaces, seafront promenade, and housing and hotel development. The land is terraced towards the lagoon and sea, with an approximately 10 incline (elevations of +14 near the N-340 highway and +4 on the road leading to the port). 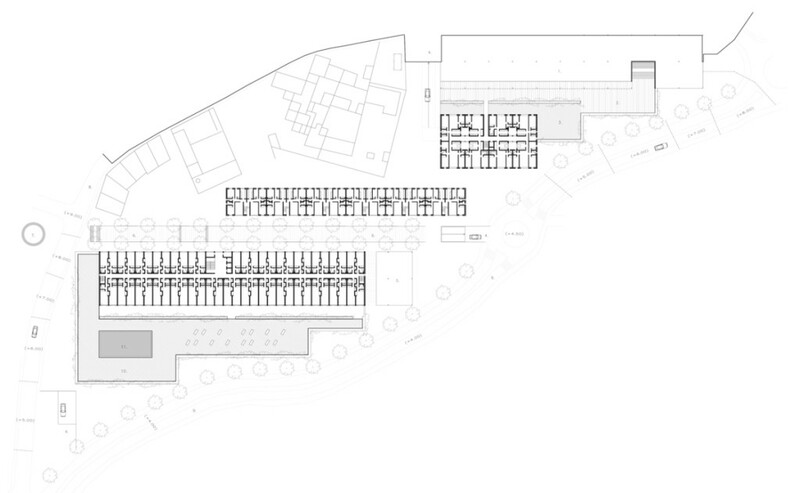 The deep incline allows for a scaled construction of buildings towards the sea, free standing two-storied buildings or on platform for offices and commercial use. Only at the highest elevation will there be three-storied buildings where the height is 12 meters, matching the height of the buildings which are already there next to the CN-340. The watchtowers are an essential part of the urban plan, and should be regarded as valuable witnesses to the history of the area. They are a key reference in the solution we propose. For this reason we plan a long, wide landscaped walkway to unite the Towers and reach all the way to the Fishermen’s neighborhood. 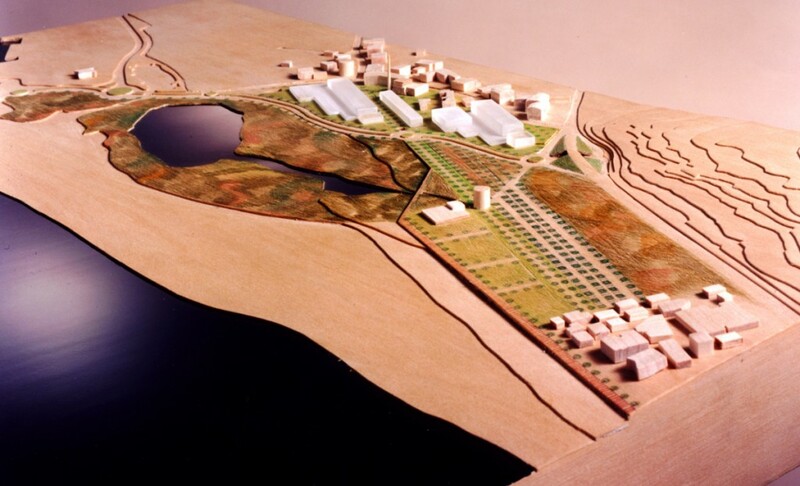 The is the main axis of the volumetric composition of the buildings, which are lined up parallel to it, taking advantage of the sea views and the excellent South East orientation. The watchtower, which overlooks the lagoon, needs to be restored and will serve as an Observation and Surveillance Tower for Migratory Birds. A new water canal will be opened at the base of the Tower connecting to the lagoon increasing and regenerating the indigenous vegetation, all in accordance with the wishes of the Campo of Gibraltar Ecological Society. The connection between the Torreguadiaro nucleus and the Fishermen’s Neighbourhood. 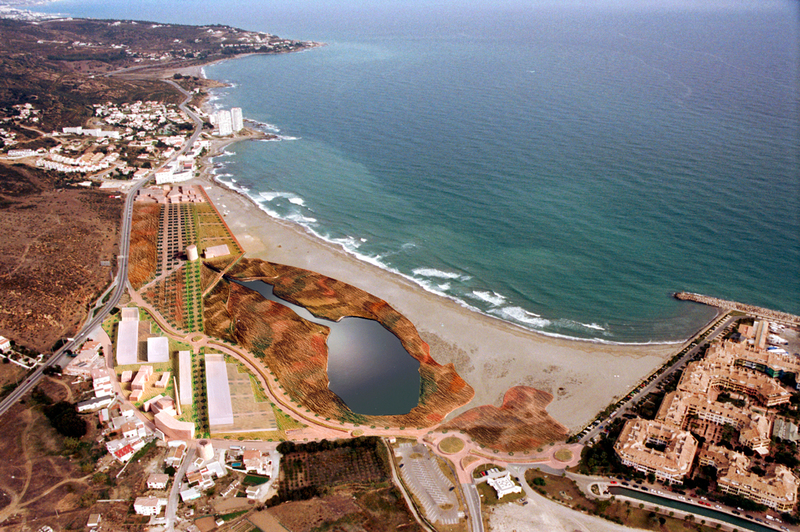 Within the general urban development plan the connection between these two centers is fully resolved by the following: Seafront Promenade, 6 meters wide, parallel to the beach.